I also apologize in advance and feel it necessary to say that I have no intention to hurt anybody's feelings or sensitivities. I am writing the below from a halachic discussion and anybody in such a situation should consult with their own mentors and rabbis about what the proper course of action is and should find success. I always understood that certain fertility treatments, such as artificial insemination and the like, are better of being done with a non-jewish donor. The reason being that if the donor was Jewish, the child would have a problem marrying when he or she grows up, as every other person might be a sibling or relative, as the donor might have gone on and had other children. With the donation coming from a non-Jew, there is no concern about siblings at any future point of marriage. Rav Dov Lior, the Chief Rabbi of Kiryat Arba and one of the leading poskim in the Dati Leumi community, has paskened recently that one should avoid taking the donation from a non-Jew and when necessary it would be better to adopt Jewish orphans. Rav Lior says the reason to avoid the donation of a non-Jew is because the qualities and behaviors of the person transfer from father to child. if the father is not Jewish his barbaric and cruel qualities and behaviors will transfer to the child. A Jewish child, Rav Lior says, contains qualities inherent within of kindness and mercy, and even if the child did not receive a proper education, genetically he still carries those traits. Another interesting point discussed by Rav Lior is the phenomenon of single women, religious women who are getting on in years and have decided use fertility treatments to get pregnant and no longer wait until marriage. Rav Lior said this should not be done as we should not respond to her requests when they will cause harm to someone else. Rav Lior said doing so causes harm to the child, as he will grow up without a father to look up to and, as Rav Lior says. such a child cannot be 100% normal. Rav Lior's opinion seems pretty extreme to me. He is writing off converts with his explanation by saying non-Jews are automatically cruel and barbaric - it is genetic. If converts are ok because a person qualities are dependant on environment, nurture and education, so such children being raised in a Jewish home should also be ok, at least as ok as anybody else. It seems Rav Lior is deciding in the famous debate of nature or nurture, that nature is the overwhelming determining factor and no matter what else is done, the genetics will always remain "bad" and the child will have bad qualities within his personality. The frum newspapers are always full of advertisements for frum vacation packages, also known as "chufshat mehadrin". They go all sorts of places, from taking over hotels in Eilat, Tiberias, Safed, and even locations outside of the country such as in Turkey, Italy, Switzerland and other places. They advertise that they "kasher" the hotel and make it mehadrin for the duration of the vacation package. That all might be coming to an end. The Rabbinic Committee for Vacation Atmosphere (what don't they have a rabbinic committee for??) has decided to put an end to such vacation packages billing themselves as mehadrin. They have gone to Rav Wosner and presented before him the facts of a vacation package billing itself as mehadrin claiming to have created a mehadrin vacation for women in Eilat. They have shown Rav Wosner that there is nothign mehadrin about the vacation except perhaps the food. The hotel is not taken over completely by the group, but there are other guests there as well, in there immodest attire. In addition, there are televisions in the rooms. Along with other problems such as people's behavior in the area and being outside where the atmosphere is far from mehadrin. Based on their testimony, Rav Wosner has decided to publish a letter saying that these packages should not be considered mehadrin and people should avoid them. The issue discussed was specifically the mehadrin vacation package in Eilat, but perhaps it applies in general to the mehadrin packages ion other locations as well. I don't see why it should be any different. All the cities and hotels have pubs and discos in the areas of the hotels, they all have swimming pools and attractions, and they all have international guests doing what they want and like to do. Should a package vacation be called mehadrin if one has the ability to see televisions and immodestly clad people in the area, and have access to inappropriate places? If one goes to a restaurant that has a mehadrin, near his or her own house, what guarantee is there that immodest people wont come into the same restaurant to have a meal? There are discos and pubs and movie theaters not far from most mehadrin restaurants. So if people are trusted to live their lives not going to inappropriate places (as deemed by whoever sets mehadrin standards) because they want to live bny mehadrin standards, and mehadrin is basically providing supervision on the food alone and not onlifestyle, so why should a vacation be any different? Why should they do more than provide mehadrin food and allow those people who wish to live by mehadrin standards (whatever they are) police themselves? Someone who does not want to watch tv will not. If their lifestyle does not include bar-hopping, they won't go to the bars nearby. Why must the mehadrin hechsher take all that into account on vacation but not in real life? A unilateral action by the Palestinians in the international realm...shows each time anew that they are not looking to peace but to create provocations against Israel..
Israel should respond to such unilateral actions by annexing settled territory in Judea and Samaria. In most areas in Israel, and all religious areas, Shabbos is introduced with a siren announcing the onset. In many areas the siren has been replaced by, or adjoined with, a musical recording of a song related to Shabbos. Rav Amnon Yitzchak has been waging a campaign against what he has determined to be music and musicians that is prohibited in Judaism. He has targeted some specific musicians. A group of avreichim in Bnei Braq went to Rav Steinman saying that the siren in their area has been playing Shabbos songs by singers who do not listen to the gedolim. They asked if that is ok.
Rav Steinman responded that the sirens should not play music by singers who act in opposition to the directions of the gedolim. Music has a special power of influence and Shabbos should be "brought in" with holy music and not songs that are against the spirit of the Torah. I am no expert in evolution, but if they conclusively prove the origins of the latest discovery they might just be upsetting all the current theories on the development and evolution of mankind. Researchers in Israel have recently discovered, while digging in a cave, the oldest human tooth ever found. That means, while they previously thought man originated in Africa and migrated out, they have now found indication, or proof if they will conclude the dating analysis with the theory intact, that man probably originated in Israel. "It's very exciting to come to this conclusion," said archaeologist Avi Gopher, whose team examined the teeth with X-rays and CT scans and dated them according to the layers of earth where they were found. He stressed that further research is needed to solidify the claim. If it does, he says, "this changes the whole picture of evolution." "Based on the evidence they've cited, it's a very tenuous and frankly rather remote possibility," Mellars said. He said the remains are more likely related to modern man's ancient relatives, the Neanderthals. According to today's accepted scientific theories, modern humans and Neanderthals stemmed from a common ancestor who lived in Africa about 700,000 years ago. One group of descendants migrated to Europe and developed into Neanderthals, later becoming extinct. Another group stayed in Africa and evolved into Homo sapiens — modern humans. After watching that video, you don't even need to read the article! But here it is anyway..
On a Thursday night early in December, Pinchas Zerbib took off his traditional cotton skullcap. In its place, he put on a polyester one. The amateur Israel Football League has grown to 400 tackle football players in its fourth season from about 80 in its first. The Jerusalem Lions’ Binyamin Schultz (41) was surrounded by the Judean Rebels in November. Binyamin Schultz had a catch against the Black Swarm in December. The more experienced Lions won. As an orthodox Jew, Zerbib, a native of Israel, believes he must always wear a head covering. He spends his days studying in a yeshiva, or a Talmudic learning institution. But three nights a week, he suits up as a linebacker. Zerbib is not alone in his newfound appreciation of American football. In its fourth season, the full-pads, full-contact amateur Israel Football League, or I.F.L., is attracting a diverse crowd of players from all over the country. Players vary in age, and some are married with children. The league is 80 percent Israeli, with secular and orthodox Jews playing with and against Israeli Arab, Christian, Thai and even Palestinian players. The league has grown from roughly 80 tackle football players to more than 400. As popular as the N.F.L. is in the United States, past attempts at spreading American football internationally have had limited success. Leagues like N.F.L. Europe, which shut down in 2007, have had problems drawing fans. But in a country so closely tied to American politics and culture, Israel is quickly gaining a football following. New players are joining each week, and crowds, though small, are steady. American football is no stranger to Israel. For the past 22 years the organization American Football in Israel, or A.F.I., has run a large flag football league, mainly in Jerusalem. It has offered an escape for American students and workers living in Israel, but only a small group of Israelis seemed interested in the rudimentary version of the game. Leibowitz helped organize teams, gather regulation equipment and find volunteers to help run the I.F.L. In 2007, the league began with four teams. Since then, four more have been added. Israeli enthusiasm took the league only so far. Long before the I.F.L. started, Robert K. Kraft, the owner of the N.F.L.’s New England Patriots and a practicing Jew, donated money to build the first and only football stadium in Israel to house the flag football league. Kraft Stadium, situated in central Jerusalem, has lights, stands and artificial turf. In the center of the field is a Patriots logo. “Building a stadium there was as hard as building a stadium here,” Kraft said in a telephone interview. After a year of political maneuvering and nearly $725,000 in donations from Kraft, Leibowitz and Kraft got the stadium built in 1999. But in 2007, when the idea of a tackle league playing in the stadium was brought up to Kraft, he was hesitant. He thought such a dangerous sport played by people with little to no experience would be a liability. Still, the Israelis were persistent, and he eventually supported the league, which is now named the Kraft Family I.F.L. “It definitely helps that a lot of the guys here are 21-, 22-year-olds that just came out of the elite combat units,” said Yonah Mishaan, who coaches the Jerusalem Lions. Mishaan was born in Los Angeles and moved with his family to Israel when he was 13. A brawny 38-year-old of Syrian descent, Mishaan owns one of the few American sports bars in Jerusalem, appropriately named the Lion’s Den. With a seven-hour time difference from New York, the bar regularly stays open past sunrise on Monday mornings so fans can watch Sunday night N.F.L. games. While the league has found a niche audience, many Israelis are still surprised to hear of its existence. Crowds consist of family and friends of players, and they do not always understand the action on the field. At a recent Saturday afternoon game in Tel Aviv between the Pioneers and the visiting Herzliya Hammer, a first-year team in the league, fans of the new squad clapped and cheered after every play. Early in the game, the Hammer quarterback dramatically scrambled and threw an incomplete pass — and the crowd burst into applause. The Hammer lost, 56-18. Equipment problems are a continual source of headaches. Because many football companies do not ship to the country, players are forced to fend for themselves to get proper equipment. For many, this means having an American friend buy the gear and ship it to Israel, nearly doubling the cost. On a recent Thursday night, the Lions faced off against the Beer Sheva Black Swarm, a second-year team with little experience. As one of the original four teams and a three-time Israel Bowl contender, the Lions are one of the more seasoned and well-equipped teams in the league. Even so, one player on the Lions had not received his jersey through customs and threw on an extra-large white T-shirt over his shoulder pads. His coach used a marker to scribble No. 86 on his back. The game was unmistakably that of an amateur league. Tackles were missed more often than they were successful, 11 fumbles were committed and referees had to stop the game for minutes at a time to argue a ruling among themselves more than once. But some talent came through. The Lions won, 36-6, in a dominating fashion, proving themselves an experienced and organized team. Could this one day be a breeding ground for future football stars? Chabadniks are no longer allowed to kvetch about the police. So declared the Chabad beis din of Crown Heights. The leaders of Chabad are worried that when people complain about the police, it ends up coming back like a boomerang and hurting the community, as the police or other authorities will then pay more attention considering the community as troublemakers. A Brooklyn rabbinical court has a new commandment for the thousands of religious Jews under its jurisdiction: Thou shall not snitch. The Beth Din of Crown Heights has ordered an estimated 10,000 members of the Lubavitch Hasidic sect not to gripe about cops or blab about crimes to outsiders. "No one shall bring to any media outlet information about any resident that could, if publicized, lead to an investigation or intensified prosecution by any law enforcement agency," reads an edict issued last week. The five-point order also bans talking to reporters about police or posting on websites critical of cops. The court ruled that only the nonprofit Crown Heights Jewish Community Council can conduct "police relations" on behalf of Lubavitchers. The rules appear to be so broadly written that they could be interpreted as ordering victims of police abuse not to talk to other investigators or federal authorities. Zaky Tamir, chairman of the Crown Heights Jewish Community Council, insisted yesterday the edict is meant only to stop people from going around leaders on issues that affect the entire neighborhood. "No one should represent themselves as speaking on behalf of Crown Heights as a whole," said Tamir, a criminal defense lawyer. Tamir said the edict arose after an ongoing beef between rival civilian patrol groups in the neighborhood spilled into the public arena. Last month, a Daily News story that evolved from the battle revealed that a Hasidic man fled to Israel after he was accused of beating the son of a cop. The ruling said relations between the community and cops have been damaged "by people who have pursued a personal agenda." NYPD Deputy Commissioner Paul Browne said the department doesn't have a position on rabbinical court opinions, but there are a number of ways to report police conduct. "The Police Department encourages the public to use any one of various vehicles to available to it to file complaints against police, including the independent Civilian Complain Review Board," he said. The ultra-Orthodox Lubavitchers live under strict rules governing almost every facet of their lives. Some said the new edict goes too far. Anyone in the insular community who runs afoul of the rules faces intense pressure to conform. "We have rights as a U.S. citizen to complain about the police," said Brooklyn college student Yosef Bergovoy, 23. Bergovoy groused to a television station last month after cops gave him a ticket for standing on the sidewalk. 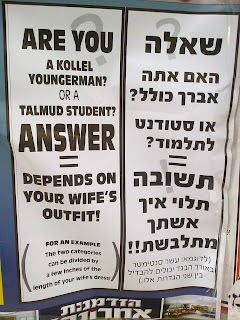 I saw this ad on an ad board outside of shul this morning. It caught my eye as I was walking past and I thought it was interesting.. Especially interesting because someone spent money on an ad and doesnt seem to be selling anything - not a book on tzniyus, not seamstress services to lengthen hems, nothing - just put the ad in to provoke/encourage..
Just when it looked like the Bank of Israel had come to a simple and easy decision, and there was not much to fight about, the decision on the new bills, and what images would grace them, has been put on hold. Turns out, nothing is an easy decision. Menachem Begin's family, his son Benny Begin and others, oppose his image being used. he was a very private and modest person and would not want his image on the bills. The haredi reps said that while they would not turn it into a crisis, they oppose having the image of a woman on the bills. A new proposal, put forth by many, is to have a religious leader's image grace the bills, and that would be the image of Rav Mordechai Eliyahu zt"l.
In light of yesterday's post about the security situation in the Bet Shemesh area, Israel TV recently ran this report on the illegal Arabs in Bet Shemesh..
and here is a link to the petition for you to sign.. It really is a shame that these guys who just want to work and earn a living have to suffer because of the threat of terror. We need active protection and not defensive... We need to declare a state of emergency so we can act without worrying about the Supreme Court.. We should put a bullet in the head of every Bedouin who smuggles a caravan of illegal migrants from Sinai. Appoint me Defense Minister and by next week not a single infiltrator will come into Israel..
Chabad's Ask The Rabbi provided a great answer to a provocative question.. 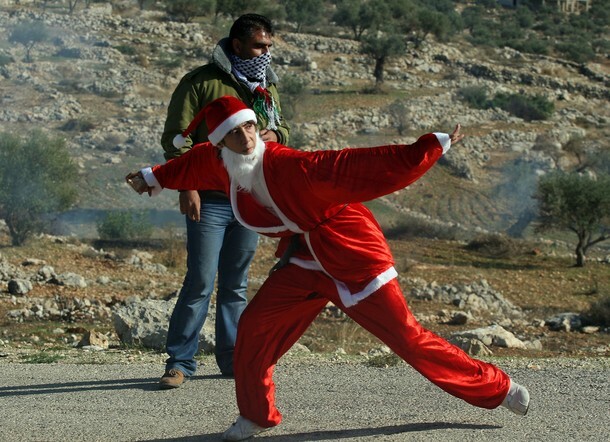 The Christian holidays celebrate an event that you have named a criminal act—the birth of a Jewish baby to a Jewish family living in the West Bank town of Bethlehem. Your views should not allow you to have any part in this cheer, for if you did, you would be giving retroactive approval to a Jewish settlement on the West Bank that dates back more than two thousand years. Perhaps you will be joined by the UN and other humanitarian organizations around the world in condemning any celebrations this week that are connected with this controversial birth, as such events would be recognizing the rights of a Jewish family to live on what you see as occupied territory. However, I must warn you, by espousing this view and not celebrating, you will be vastly outnumbered. Not that it’s so bad to be in the minority; I personally have been all my life. But keep in mind, while you accuse Israel of occupying land, there will be two billion Christians around the world celebrating the fact that the West Bank has always been the home of the Jewish people. I must say that when I have been up on Har Habayit I have thought of checking in to Foursquare to try to become "the mayor", but since I don't use Foursquare I never bothered. If I had, the New York Times would be writing about me.. Oh well. Instead, they are writing about 24 year old Ariela Ross, the Jewish Mayor of Al Aqsa. Jews and Arabs and the occasional Roman have held competing claims to Jerusalem's Temple Mount, otherwise known as the Noble Sanctuary, for several millennia. The hill is thought to be the spot where Abraham bound his son Isaac, where the First and Second Temples stood and where Mohammed began his ascent to heaven. The Wailing Wall is on the Western side; the Al-Aqsa Mosque and the Dome of the Rock sit atop the platform. In all, it may be the most highly contested 324,000 square cubits on the face of the earth. The site is controlled by the Israeli government and administered by an Islamic council. And the Mayor? As of this writing, that would be Ariela Ross, a 24-year-old "4Sq fiend" and "political and cultural advocate," as she is described on her Twitter page. On Foursquare, the location-sharing app, she is also Mayor of the Damascus Gate, the Christian Quarter, Dr. Calderon's Dental Office and a number of local watering holes, including Jabotinsky, Egon, Madness and Paparazzi. She holds 43 mayorships in all. Ross has also unlocked 20 badges, including "Crunked" (four or more check-ins in a night) and "Overshare" (a suspicious 10 check-ins in an hour). In a recent piece in the Jerusalem Post (behind a paywall, but accessible here), Sharon Udasin detailed the Foursquare battle between Ross and other early adopters in Israel. The application seems to have relatively few users there—which explains how Ross captured the Mayorship of the Al-Aqsa mosque with just nine check-ins. Ross, editor of a geek culture website called Walyou, says she discovered Foursquare when she lived in San Francisco and uses it to "see who's in the area and what there is to do." When she returned to Jerusalem in September, she decided to become mayor of as many of her favorite haunts as possible. "I thought for sure I'd be fighting forever, but since it's barely catching on and data plans are very expensive here, it was easy," she told The Observer. She did have one rival, David Abitbol, who runs a website called Jewlicious. He was briefly Mayor of Al-Aqsa, before Ariela "told me on Twitter she was going to 'steal' it," he wrote in an online chat. "The whole concept is weird. I check in because I want to let my friends know where I'm at. Not for the mayorship. I mean, what does that get me?" Jewish law expressly prohibits Jews from walking on the Temple Mount, due to the possibility of treading on the remains of the ancient Temple, though many nonreligious Jews do visit the site (Ariel Sharon famously went there shortly before the beginning of the Second Intifada). "I'm bad," Ross said of having broken the rule. She visited the mosque at the invitation of the mother of a Muslim boyfriend, a Bedouin Israeli, but she admitted that many of her check-ins were not strictly from within the mosque itself. "Usually I'm sitting right outside of it," she said, "but I didn't see any reason to create a new location" on Foursquare. As for Abitbol, he frequents the Temple Mount because "it's really pretty, the workmanship on the mosques is remarkable, the views are great and, most importantly, it is the holiest site in Judaism." While he would like to see the Jewish Temple rebuilt one day, he said, he expects the restoration to happen by divine intervention—"not by man." Abitbol was asked if checking in at Al-Aqsa is a way of laying claim to the site. "Well, obviously," he replied. "4square and its mayorships are the equivalent of marking one's territory." "It's not about religion or politics for me," Ross said. "It's just the technological realm. I could imagine, if they make a version in Arabic and Hebrew, people maybe wondering, 'How is it possible this Jewish girl is mayor of Al-Aqsa?' But I'm kind of an anomaly. I have a lot of types of friends—Arabs, religious Jews, soldiers, priests..."
Despite being "very open-minded socially," however, Ross—who is above draft age but still applied and "would drop everything" to serve, considers herself right-of-center when it comes to defense. "I'm cool with everybody but don't mess with my nation. As long as you don't try to kill me or my people, I'm okay with you." Asked whether she'd relinquish her Al-Aqsa mayorship if Muslims objected, she said, "They can just take it from me. If they go there often enough and join the website and check in, let them have it. But I'm not going to just give it up just because someone has a problem with it. My Muslim friends aren't offended. They laugh. It's like, 'Oh, Ariela...' That's just who I am. It's my personality to do things that are against the grain." So far, the local Arab community has been slow to embrace the new platform—"I don't see any Arab-language locations on 4square in Jerusalem at all," Abitbol noted. Still, he said it seemed "inevitable" that the territorial disputes that have been ongoing in the region for so long would play themselves out on the new application. In fact, the technology may well introduce some new areas of disagreement. "The obsessives cheat," Abitbol explained. He added that Ross had defriended him on Foursquare after he questioned several of her Al-Aqsa check-ins that he said occurred at times when the mosque was closed to non-Muslims. Ross admitted to some minor fudging. She said her personal rule is that if she visited a location before she obtained a data plan, it seemed kosher to check in later. As to her disputed Al-Aqsa check-ins, she said she has a lot of friends on the police force in the Old City. "I can pretty much get into any location I want to at any hour, because of the people I know." Interestingly, there's no word yet on whether the Israel Defense Forces have gotten hip the new application. Military authorities recently used Facebook to prove that nearly 1,000 women who'd avoided the draft by claiming a religious exemption were not as pious as they seemed—updating on Shabbat?—but "I doubt they have a policy on 4sq yet," Abitbol said. "Basically, if you're on a mission behind enemy lines, it'd be really dumb to check in." He added, "Shlomo Jewstein is now Mayor of Gaza City!" 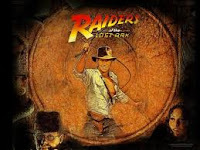 The death of the inspiration for Indiana Jones deserves a mention here. 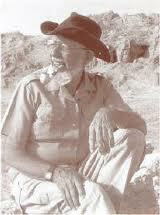 Archaeologist Vendyl Jones, a Noahide, died at the age of 80. Jones was famous for his search for Temple artifacts, most notoriously the Aron Kodesh, the Ark of the Covenant. In addition he had discovered a large stock of incense that had been used in the Temple, as well as the shemen hamishcha, the annointing oil. Jones was a great friend of Israel and the Jews, and many of his children and grandchildren have converted to Judaism. This post is the result of a conversation with someone yesterday. The statistics mentioned are not scientific, and are unofficial, though very good. The 2 Arab murderers who slaughtered the missionary in the woods last week were caught the other day. They were in an empty apartment in Bet Shemesh. A policemen told a person at the site that there have been 22 violent attacks (at least 2 ended in murder) from Arabs in the past 2 years in BS / RBS / surrounding hills, with 3 occurring in BS and RBS. The officer speculated that the reason for the increase in violence is because this is the only area not covered by the security fence and that was to allow for a corridor to be built from the West Bank to Gaza. Perhaps, given the location of Gush Etzion and Beitar Illit, the intention is to incorporate them and therefore not build a wall with them on the other side. And politically it's sensitive to address Arab crime. Note that RBS-A has had 8 schools robbed (completely stripped) in the past 4 weeks, on Shabbos (each time) - yet again the police are not addressing it. And given the crimes included stealing 2 different school's "farm/pet" areas (meaning the schools had 2-4 sheep and goats), it's pretty clearly Arab. The theory seems to be partially supported, that is why the increase in violence due to the lack of a security fence in the area though not why there is no security fence in the area, by an article written in Haaretz today by the organization called "Security Fence For Israel". The problem is that if illegal workers can get past the fence so easily then so could Palestinian terrorists, and that undermines the whole point of the fence. However, the truth is that terrorists don't need to cut the wire, they can simply go around the fence. 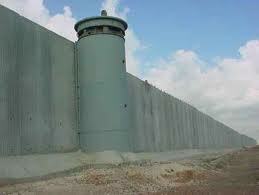 For example, there is no fence near Beit Shemesh. This is not WikiLeaks - I'm not giving away state secrets. I assume that most Palestinians know exactly where the fence is built and where it is not, but unfortunately, most Israelis (and our Knesset members ) have no idea. The last map on the Defense Ministry's website shows a gaping hole near Beit Shemesh, but it's hard to say what is accurate, since that map is dated 2006. In addition to a real terrorist threat, there is also the issue of responsibility. If there would be a terrorist attack in northern Israel near Jenin, or in central Israel near Qalqilyah, there would be immediate investigations in the army and the Border Police as to how the perpetrators successfully crossed the security fence, and someone would be held responsible. Those areas have a security fence that works. If an attack happens in a place without a fence, for example near Beit Shemesh, there is no responsibility, there is no border, the Border Police would have no idea where the attackers came from or where they went. Anyone who lives in the Beit Shemesh area is quite aware of the situation. A friend from Ramat Beit Shemesh told me that on Shabbat afternoons he often sees dozens of Palestinians walking through the nearby fields. He was told that since the Border Police has patrols on Saturday night and Sunday morning to catch the Palestinians coming to work in Israel, they come on Saturday afternoon. We all realize that 99% of the Palestinians coming here are not terrorist or criminals, but if these workers can get into Israel, so can the people who want to do us harm. Ms. Hammerman also refers to the fact that the Border Police sometimes turn a blind eye to these laborers entering Israel. I believe that this is partly due to the fact that the fence is not finished - they realize that they cannot stop everyone given their resources, they are too busy. One could only imagine what would happen to a policeman in passport control at Ben-Gurion Airport who would decide to let an entire line of people at passport control enter because the lines were too long. The State of Israel has been building the security fence for eight years and is still not finished. This is mind-boggling given that fact that our current leadership are all strong supporters of the fence. Most of the fence was built while Ariel Sharon was prime minister, Shaul Mofaz was defense minister and Moshe Ya'alon was the IDF chief of staff. All three expressed either outright opposition to the fence, or in the best case, lukewarm support, but were forced to build it because of public opinion. People need to realize that the local environment is changing. You should increase safety precautions. Lock your doors, know whats going on in your area. Further, contact and address government ministers or parties to give BS some attention and resources to deal with a growing problem. Another option is always consider joining Mishmar Ezrachi and/or forming some sort of neighborhood watch. A recent petition arranged by Rabbi Dov Lipman has gotten the attention of the Minister of Internal Security and is expecting to get involved. The time might be ripe for people to be contacting him along with other government officials, letting them know that the situation is ongoing and serous. 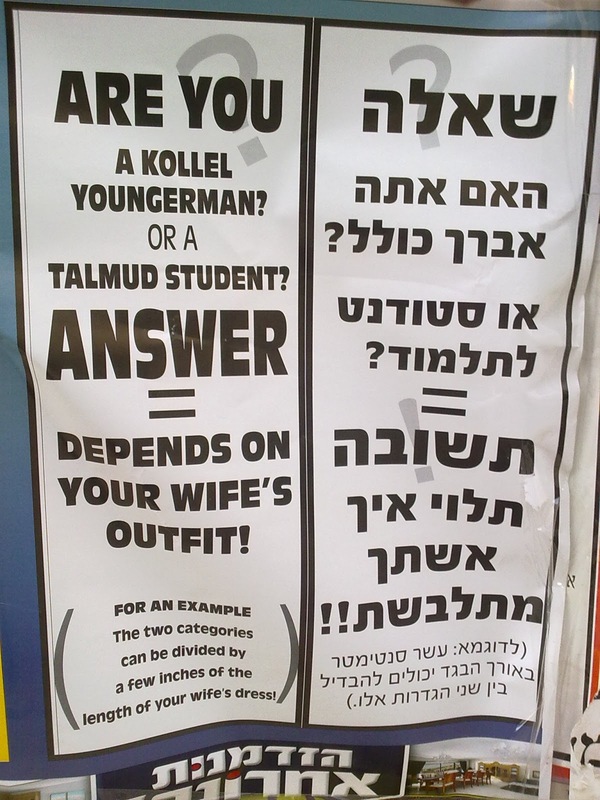 Which Is Worse - Secular Anti-Haredi Discrimination Or Haredi Anti-Haredi Discrimination? There was a fascinating article in this past week's Mishpacha Magazine (Hebrew edition). The article was about a family, baalei teshuva, who have been thrown out of their house twice already and are now being evicted for a third time. And the reason is because of anti-haredi discrimination. 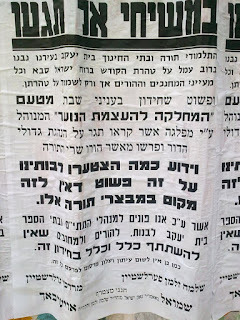 To be brief, the Becher family of Ramot HaSharon have been discriminated against by the local residents simply because they have become Haredi. And they are not strangers to Ramot HaSharon, as Mrs. Becher is a fourth generation member of the yishuv. Her great grandfather was one of the founders, as much of the town was built on his land. Her grandparents lived there as did her parents. They did as well before spending time away, and now they wish to move back. The Bechers are now being evicted from their third house, as the locals pressure the owners to evict them and try to find every way to make their lives difficult, filing complaints against the minyan they started and the like. The discrimination is really troubling, and their story was a bit wrenching, and fascinating at the same time. Besides for the point of the article, which was that the anti-haredi discrimination happens fairly regularly around the country yet nobody stands up against it the way they stood up against the Rabbis letter about not renting to Arabs and other similar anti-Arab discrimination, there was another point that was mentioned in passing that bothered me. At the end of the article describing the situation, the author interviewed Mr. Becher about what is going on, asking a few questions. The first question asked was what does he need this for? Why continue fighting to stay in Ramot HaSharon? Why not just pack up and move to one of the many haredi neighborhoods or cities? 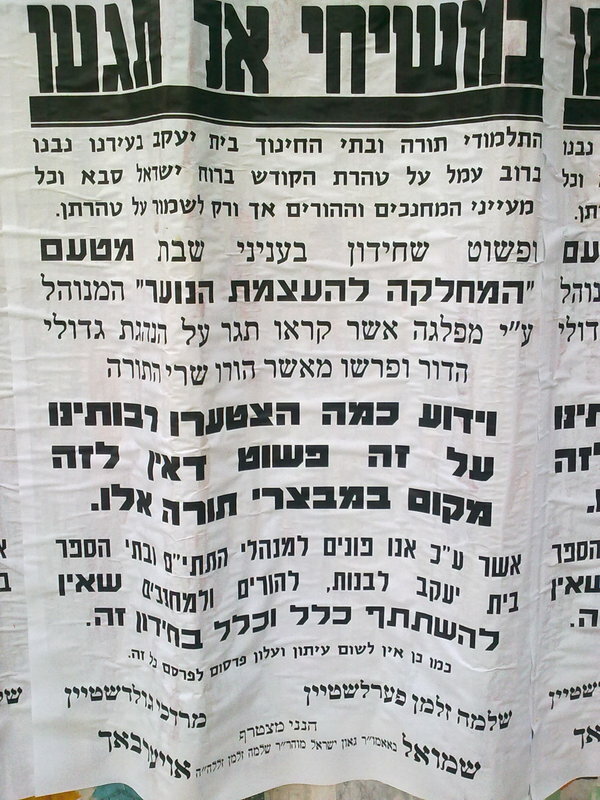 Becher answered that the haredi community is very not accepting of baalei tshuva. Even if they could move to Bnei Braq or the like and succeed in acclimating, their students they have developed over the years who would follow them would not succeed in a haredi area because they would be rejected by the schools and community. The interviewer then moved on to some other questions. Do you get it? In the same article describing how the anti-haredi discrimination is so bad, they mention in passing that the haredi community discriminates against these haredim as well. How can you get so upset about secular anti-haredi discrimination when the haredi anti-haredi discrimination is just as bad, or worse (because in such a community these people would expect to be welcomed, rather than isolated)? 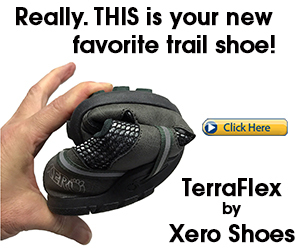 What a great ad. Even the Hamodia realizes that no matter how much they promote the campaign against the Internet, it is not going away and people are not stopping using it. The best part of the ad is the bottom line that this does not endorse or condone personal/home email/ internet use. Funny. A common new minhag is the Amen Party. That is where a group of people get together, usually a group of women, and set out different food items. They then take turns going around the tabel making brachos on the foods and everyone else responding amen. The Amen Party is meant to generate merit, by answering so many amens in groups, and effect God's good graces in granting success, wealth, parnassa, shidduchim, having children, etc. You name the problem and the Amen Party will solve it. I don't know if there is any documented success, but the groups of people at least try it. I don't know what can really be wrong with it, even if the women made it up. They are simply making brachos and answering amen. It seems silly to me to come up with these things, but "whatever floats your boat" as they say. Rav Dov Lior, the Chief Rabbi of Kiryat Arba, was asked his opinion about Amen Parties. Rav Lior responded that there is no source for such a thing, and we don't find in the words and writings of Chaza"l that they held such things as Amen Meals or Amen Parties. That being the case, one should be wary and cautious of such parties, and stay away. Suicide is treated very seriously in halacha. According to the Shulchan Aruch, if someone commits suicide, we basically write him off. No sitting shiva, burial outside the Jewish cemetery, etc. However, the community generally tries to find a way to not call it a suicide. There are some rules delineated in Shulchan Aruch that must come together for it to be considered a halachic suicide, and if they do not, one can avoid the unpleasantness. A common way is to say that he was not of sane mind, and therefore his suicide was not suicide. He was mentally unstable, or something like that (in halacha he has to have told someone prior what he intended to so so we know he was aware of what he was about to do, and he had to have been seen performing the whole suicide). An avreich in Bnei Braq recently committed suicide. The family, or the community decided to have a sefer torah written in the fellow's memory. Realizing it might be a problem to have a Torah written in his memory, perhaps it is simply inappropriate, they decided to ask Rav Chaim Kanievsky. A group of askanim (why is it always askanim, and not simply family members or the shul gabbai or someone else like that??) went to Rav Chaim Kanievsky to ask. What could possibly be considered a landmark in Yerushalayim, perhaps not the building necessarily but the institution, Bikur Cholim Hospital looks like it is going to be shut down. Bikur Cholim has been having serious financial difficulties for many years, and is finally going to have to close its doors. No new funding has come in, so that's it. The government decided they were not going to throw any more good money after bad, and no new private money has been located, so that's it. 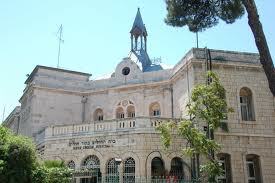 It really is a shame, as Bikur Cholim is the only hospital, small as it may be, serving downtown Jerusalem. granted, Jerusalem is not such a big city, and other hospitals are not that far away, but in a city that has often been racked by terror, having a hospital in the downtown area has been very useful, unfortunately, in the past. Besides for its usefulness in its location, Bikur Cholim is the oldest hospital in Jerusalem, and really in all of Israel. It first opened its doors in the Old City in 1826, and moved to its current location in 1925. Bikur Cholim was the project of many gedolim and rabbonim of Yerushalayim through many many years. Just because of its history it is a shame it has to close. Unfortunately, that is the way of the world. It is no longer profitable, and thats the way it is. After many attempts to find ways to keep it open, Deputy Health Minister Yaakov Litzman said that nothing has worked out and Bikur Cholim is going to close. They can no longer keep it open. After the announcement, the members of the Badat"z have written letters to people of influence (including Members of Knesset) urging them to find ways to keep it open, stressing how important it is to be open and provide its services to the area. I wonder why they themselves did not try to take it over and find funding. It really is their "baby", as the majority of its patients are from the Geula and Mea Shearim areas. Obviously it is not exclusive, and it serves residents from all over Jerusalem (Jews and Arabs alike), but it really is identified as a stronghold of the Eida and Mea Shearim. That being the case, I am surprised they did not take it over. they could have gone fundraising for it just like they do for all their other institutions. Satmar is very well known for their chessed in the medical field in America, and they could have been recruited to help find funding for the hospital. It is a shame it has to close, and I am surprised the Eida did not try to take it over, but only urged other people to try to save it.. I don't blame them, as it was not their responsibility, just am surprised it did not happen. As we walked by an Arab worker fixing the tiling in a sidewalk, he was suffering from "plumber's crack syndrome" where the seat of his pants rides down way too far as he bends over.. my daughter saw him stick his hands in his pants as well. My daughter said to her friend she was walking with, "Ewww, if he was a yehudi, and he was my cousin and he wanted to hug me I wouldn't hug him".. Bet Shemesh residents - hold on to your property. De Marker's weekend magazine had a piece on the up and coming real estate markets in Israel. De Marker is the leading financial paper in Israel. De Marker found the three top locations and called them the thee top cities in Israel's future. Hold on to your hats - the three cities are Yavne, Hadera and Bet Shemesh. De Marker found that real estate prices in these three cities are still reasonable, they are located near major regions, and with improved train systems to each of them it is easy and quick to get to the center of the country for work purposes. Despite attempts to drive prices downward so as to help young couple be able to afford apartments, if Bet Shemesh (and the others) really becomes one of the most desirable cities in the country, you can bet your bottom dollar that prices will continue to rise. 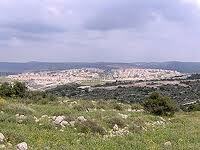 Mayor Moshe Abutbol said that the city is planning for the major growth that Bet Shemesh is about to go through. They are planning by building new city infrastructure, hastening the repaving of the main highways - 38 and 10, growing the Industrial areas at the edges of the city, educational institutions, a huge conference center is being built at an investment of 32 million shekels, attempts to get a hospital built, along with other projects. Abutbol called on the national government to also recognize the awesome growth and recognize the new reality in the area of Bet Shemesh as the city of the future and plan [and fund] accordingly. I have decided, as I have mentioned before, that we are a completely racist society, even if people only care about everyone else's racism. Sure, there are individuals who are not racists, but overall we are mostly racist. There is the general racism we all know about that has been in the media a lot recently - secular not letting religious live in their neighborhoods, religious not letting secular live in their neighborhoods, Jews not letting Arabs.., Everyone (religious and secular) against the Sudanese refugees and Illegals, etc.. There is also the racism that you will usually not here about in the media as it is hardly mentioned, if at all, and when mentioned it is downplayed and the story passes quickly. While Israel is being called racist because it is trying to find a solution to the Sudanese problem, and the way some people relate to Arabs and Palestinians, Mahmoud Abbas the other day dropped a bombshell that seemed to have passed almost unnoticed. Nobody seems to care that he said that in a future Palestinian state no Israelis would be allowed. "We won't agree to the presence of one Israeli in it" he said. I wonder what would the reaction be if Israel announced that No Arabs, or at least no Palestinians, will be allowed any longer in Israel. I could even go with No Arabs because almost none of the other Arab countries let Israelis (or Jews for the most part) in. Maybe Egyptians and Jordanians can come visit, as we have peace with them and they usually let Jews in for short visits. Nobody cares though, because only Arabs can't be victims of racism. Last week a Palestinian shepherd lost a bunch of sheep from his flock when they went up in flames. Not with the spontaneous combustion that Dave Barry used to write about so frequently, but he blamed it on a group of settlers having set the fire that burned 17 of his sheep alive. The leftist organizations immediately jumped on the poor shepherd's story and lambasted Israel through the international media for allowing the settlers to continue destroying the lives of the poor Palestinians while terrorizing their fields, their flock and their olive trees. Some questions arose during the questioning, as the shepherd changed his story a couple of times regarding who burned the sheep. According to Srugim, when he was taken for questioning to continue the investigation, he ended up admitting that he had done it himself by mistake. He was burning weeds in his field when the fire got out of control. When his sheep caught flame, he decided to rectify the situation by blaming it on the settlers. The leftists immediately jumped to blame the Israelis without even bothering to check what actually happened. Unfortunately corrections never make headlines, Only the initial accusations do. Well, at least the shepherd must have had a good lamb shwarma for lunch that day before he went on his blood libel. I dont know where this came from, but it is cute..
A while back I wrote a post pointing to a debate in a Knesset committee on transportation issues, specifically the issue of having someone other than the bus driver deal with receiving payment. During the discussion, the protocols of the meeting recorded, the CEO of Superbus was invited to discuss some issues. During his talk he mentioned that there is a certain percentage of riders that avoid paying for the ride. He then said that they need to run a mehadrin bus line in bet Shemesh (the #11), and he said that on the mehadrin line the percentage of people who avoid paying is much higher. he said 30%, if I remember correctly. After the post, some commenters, both here and in another forum where the issue was discussed, accused the CEO of making the number up and really the percentage shouls be lower than on the general lines, and how can we trust him, he is intentionally makign it up to make the frum community look bad, etc. The following notice was published in a weekly advertising book from RS B, the main clientele of the mehadrin bus line. I would like to point out that 6 out of the 8 points of the notice, plus a reminder on the bottom, along with a personal note written by Rav Kopshitz, are about the specific issue reminding everyone that they have to pay and cannot ride for free, cannot intend to pay later, etc. While perhaps 30% was an exaggerated number (I dont know if it is or is not, but am willing to accept that it is), it is obviously high enough that they feel the need to put out advertising reminders about the serious need to pay. I think this notice, and I have seen them publish it a few times recently, shows that payment ont he mehadrin lines has become a serious problem. At the same time, Kol Hakavod to them for dealing with it. They want the mehadrin line to continue and are doing what they feel necessary to make sure it works, rather than just saying everyone pays and it is not out problem. The latest pashkevil around RBS, and it has been a while since they put up a local issue pashkevil (national issue ones go up regularly) is against TOV. TOV, led by Eli Friedman, runs the Iryah's department for strengthening youth. Hamachlaka L'ha'atzamat Ha'Noar. As part of their work, they published a chidon, a quiz of sorts, called "Chidon HaShabbos", on the halachos of Shabbos, for the local schools. The pashkevil talks about the purity of the schools and comes along a party that is founded on rebellion against the gedolim, and therefore the schools, educators and parents should not participate in this chidon, and advertising publications should not publicize it either. I note that they did not write that they found controversial content in the chidon making it inappropriate, just that the people who published it are rebels. With the campaign for Jonathan Pollard's release getting into high gear and finally picking up steam after Prime Minister Benjamin Netanyahu announced he would formally request the U.S. pardon (grant clemency) to Jonathan Pollard, Israel's Chief Rabbi, Rav Yona Metzger, called this afternoon for the public to write letters, to send to US President Barak Obama, on behalf of Jonathan Pollard. Rav Metzger met with Esther Pollard, Jonathan's wife, and she described Jonathan's situation and health in prison. Rav Metzger said people should begin flooding the White House with letters, requesting they free Jonathan Pollard immediately, and he showed Esther Pollard that he himself has already begun drafting a letter to President Obama. Pollard has been in jail long enough. Anything you do now, now that Israel is formally making the request, has a chance like never before to have an effect on his situation. Correct me if I am wrong but as far as I know Hassidic Judaism is not known for their vast participation in military matters, let alone in the US military, or anything else defense related. So it comes as a bit of a surprise that a group of Hassidic Jews would bother to protest the recent change by US President Barak Obama in policy of "Don't Ask Don't Tell" that will now allow openly homosexual people to be in the army. Braving the cold weather, four men from the Hasidic Jewish community in Monsey picketed Monday afternoon just outside of the U.S. Military Academy at West Point to protest gays serving openly in the military. Solomon Diamant, one of the protesters, said they were appalled by the Senate vote that ended the 17-year-old "don't ask, don't tell" policy. "Only God can establish what's wrong and what's right. We cannot uproot his rules," Diamant said. "The whole LGBT agenda is evil," using the abbreviation for lesbian, gay, bisexual and transgender. One of the protest banners stated that ending the gay ban in the military "breaks the morale and undermines the fighting ability of our devoted self-sacrificing soldiers who give their lives for us and for our country. Those who are imposing this on our troops are supporting America's greatest enemies and destroying the country . Please keep our country faithful to the biblical values upon which it was founded." Another sign stated: "I want our troops to have divine assistance. Don't downgrade moral standards." Jim Fox, a West Point spokesman, said the protesters were outside of the academy's property and therefore, he would not comment on their appeals. "We understand that there were four individuals outside of our Thayer Gate in the village of Highland Falls, exercising their rights to peacefully protest," Fox said. Diamant said he and others have been protesting not only the repeal of the ban on gays in the military but also other issues involving LGBT, such as gay marriages. They have traveled to Albany, Trenton and Washington to voice their opposition to LGBT causes. "Accepting LGBT is against God," said Rabbi Yosef Rosenberg. "It's a betrayal against mankind." The debate over gays in the military has been settled with a historic decision to allow them to serve openly, but big questions lie ahead about how and when the change will take place, how troops will accept it and whether it will hamper the U.S. military's effort in Afghanistan and Iraq. President Barack Obama is expected to sign into law this week the legislation that passed the Senate on Saturday, an act some believe will carry social implications as profound as President Harry S. Truman's 1948 executive order to end racial segregation in the military. The new law probably won't go into practice for months. There are plenty of non-Jews in Israel who celebrate Christmas. There are also many Israelis who enjoy holiday parties, and/or greeting people with holiday wishes (perhaps based in humor and irony), and even light symbols of the holidays. Using Christmas trees is taking it too far. This has been determined by the Rabbanut. Rav Eliyahu Shlesinger, the rav of the Gilo neighborhood of Jerusalem and the rav in charge of the national kashrus division of the Rabbanut. Rav Shlesinger has said that any kosher hotel or hall that displays a Christmas tree will lose its kashrut certification. 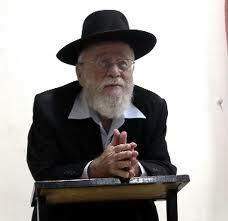 Rav Shlesinger said, "A hotel that receives certification must be a Jewish hotel. It is impossible that in a place that has a hechsher there should be a Christian Christmas tree. We are proud to be living here in the State of Israel that is a Jewish state. It is completely illogical that in a place that has kashrut certification, and even mehadrin kashrus, they will act according to the Christian customs." Rav Shlesinger stressed that the Rabbanut is only laying down this law regarding the outer symbols of Christmas - no tree. If people wish to have private parties, that is their business and the Rabbanut has no say in that. The Rabbanut cannot tell people all year round when they can or cannot have parties, even if it is on a Christian holiday. The Rabbanut statement is regarding the Christmas decorations alone (specifically the tree). I think this new beauty pageant is just great. Really swell. They may not wish for world peace; but in the Emirates, camel beauty queens are at least as prestigious as their human counterparts. Over 20,000 camels and their owners from across the Gulf have converged on Abu-Dhabi's western region to participate in the Al-Mazayin camel beauty competition in the desert town of Dhafra. The stakes are high as some 800 camel owners are vying for cash prizes of up to 35 million UAE Dirhams ($9.5 million). Sheikh Muhammad Bin Zayed Al-Nahyan, Crown Prince of Abu-Dhabi, funds the competition which takes place at periodic intervals. "This is the only animal we love," Salem Al-Mazroui, director of the Al-Dhafra festival which hosts the beauty pageant, told The Media Line. He explained that the competition was an opportunity to show gratitude to camels. "A Bedouin could not survive in the past without camels, so now we want to give back to them," Al-Mazroui said. Once the main means of transport in the simmering Arabian desert, the camel remains an important cultural icon and a source of pride for Gulf Arabs. "Camels were our first means of transport, which is why people have grown attached to them," Ahmad Kheiri, an employee at the Al-Ain company for animal feed in Abu-Dhabi, told The Media Line. "Today people mostly use camels for racing, meat and milk." The Al-Mazayin beauty competition includes two categories: one for light-skinned camels called Asayel, and the other for dark-skinned camels called Majahim. Camels are judged by a panel of experts from Gulf countries, who use a 100 point scale to evaluate the animals. Specific physical attributes such as nose shape, head size, whiskers and ear erection are taken into account, as well as general fitness, size and hair shine. Al-Mazroui said that camel beauty pageants were initiated 20 years ago, as cultivators began mixing species in order to breed faster camels for racing. Sheikh Khalifah Bin Zayed Al Nahyan, President of the UAE and Emir of Abu Dhabi, endorsed the beauty pageant as a way of maintaining the pure-bread Arabian camel, Al-Mazroui added. "In the past, people focused only on racing and speed, but no longer," he said. On the sidelines of the beauty pageant, camel racing and camel-milking competitions are also taking place, as well as a market where camels will be traded. A quality camel can bring its owner a hefty sum. A white rare breed named Nomas was recently sold in a camel festival in Saudi Arabia for 3 million Saudi Riyals ($800,000), the Saudi daily Sharq reported. According to the Sudan-based Arab Organization for Agricultural Development (AOAD), some 378,000 camels inhabited the United Arab Emirates in 2008. But in the Middle East, it is the poorer countries which tend to have more camels. Out of a total of nearly 16 million camels in the entire Middle East and North Africa, war-torn Somalia leads by far with over 7 million camels, followed by Sudan with 4.4 million. Muhammad Khalaf Al-Mazrouei, director general of the Abu Dhabi Authority for Culture and Heritage, stressed the role of the camel beauty pageant in preserving the historical heritage of the Emirates, despite its quickly developing economy. "In the face of the challenges of cultural erosion, which is being caused by increasing globalization, Abu Dhabi has chosen to take a balanced approach in its attitudes towards tradition and progress," he said in a press statement. "The philosophy of the desert holds a great draw to us; exciting us and making us long to return to it whenever we can. The desert represents our cultural roots, and signifies the values that are important to us," he said. I am amazed how much camels cost. I see that just like discrimination is a problem among humans, even by animals we cannot get away from it - they have segregation between "light" and "dark" camels. While camels seem to be very expensive, somehow the poorest countries have the most of them.. This beauty pageant is to show gratitude to the camels. Opponents to human beauty pageants cite the exploitation of women. Is this how they show their gratitude to camels, by exploiting them like this? The prize for the pageant is nearly $10 million! For a camel beauty pageant. Amazing. And how does giving a camel owner 10 million dollars show gratitude to the camel? I wonder if they ever ask the camels contestants for their opinions on world matters, just to get juicy quotes from them..
Did A Volcano Take Down Sodom and Gemorroh?